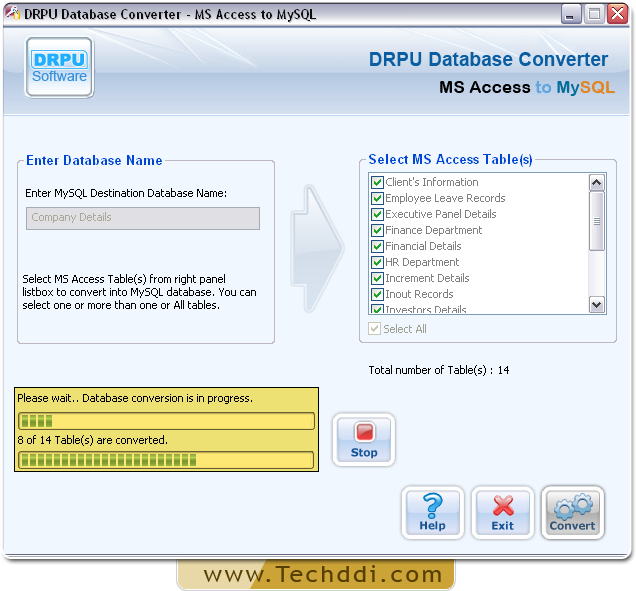 Enter DB name to convert MySQL Database records. Select either entire database or selected tables of MS Access for migration. Go to ‘Convert’ to start DB conversion process. Screenshot displays current status of database conversion process.